We hereby inform you that the General Terms and Conditions of NÚSZ Zrt. (National Toll Payment Services PLC) will be changed as from 1 September 2017. The deadline of the data to be transmitted to the Toll Declaration Operators will be limited to 15 days. We ask you to pay special attention to this deadline in order to be able to avoid penalties at any time. The process of data transfer and the further circumstances of the cooperation remain unchanged. In which cases must increased attention be paid to this deadline? the accuracy of the latest data should be reviewed under any circumstances. If the vehicle stays abroad for a longer period and its expected duration is longer than 15 days, the accuracy of the latest data recorded before the border crossing should be reviewed under any circumstances. If the vehicle will be stopped for a longer period and its expected duration is longer than 15 days, the accuracy of the latest data should be reviewed under any circumstances. The maximum satisfaction of our partners is very important for i-Cell Kft., so we ask you to study carefully the following information in order to be able to avoid the penalties. WHAT SHOULD YOU DO FOR THE SECURE TOLL DECLARATION? Ensure that the SIM card is valid and the data transfer balance is topped up! Pay increased attention to the OBU S550 device when crossing the border! 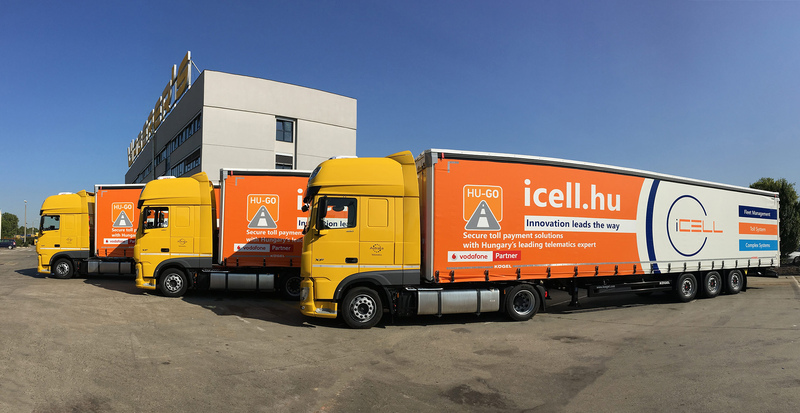 If you have any further questions about the device, please visit our website where you can obtain useful information on how to use the device exactly: https://utdijfizetes.icell.hu/hasznos-informaciok/. Should you have any problems with your device, our colleagues are ready to help you on the phone number +36 1 510 0548 or under the obus550@icell.hu e-mail address. We look forward continuing our cooperation with you as smoothy as hitherto. The number of OBU onboard devices suitable for electronic toll payment is steadily increasing in Hungary, according to the figures of NÚSZ Zrt. 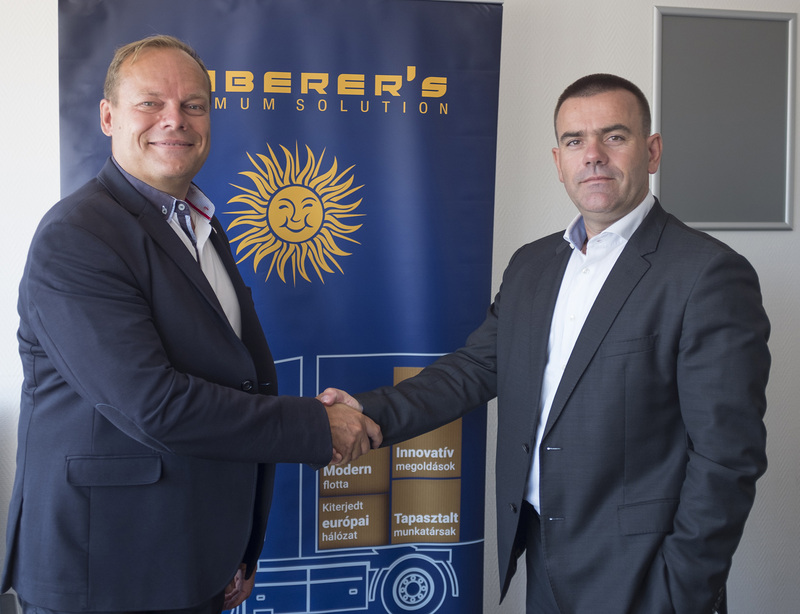 ( National Toll Payment Services Plc) the penetration rate of OBU devices reached 97% by August this year, as concerns the Hungarian vehicles. One of the Hungarian Toll Declaration Operators considers, that despite the fact that the awareness of toll payer is growing, there are still a lot of companies that have to pay fines resulting from carelessness and non-usage of the existing fine alert functions which could have been avoided. Since the introduction of HU-GO distance-based toll system on 1 July 2013 the number of OBU (On Board Unit) devices used for electronic toll payment has been steadily growing, and, as an evidence of the growing awareness of freight forwarders, the available balances are also growing at the same time: based on figures of NÚSZ of October 2016, the sum of deposits reached HUF 5,3 billion. The users must be aware that their vehicles will be checked from time to time with different intensity, due to the still increasing volumen, although this increase has been slowing down. The HU-GO fine alert function has been created by NÚSZ for the protection of bona fide freight forwarders, this function sends a warning to the user in case of data outage lasting 30 minutes, so that the user – if he monitors the system signals – has a good chance to avoid the fine. As for the awareness of users, there is still room for improvement, as it is confirmed by market experiences of one of the Toll Declaration Operators. „We currently transfer route tickets in amount of hundred millions HUF and we provide services for more than 35 thousand OBU devices. The data show that the fine alert function is activated in no more than 54% of all devices. Breaking down this data by partners, the general aspect is more informative: only 31,7% of companies use this function, that is, companies operating larger fleets and consequently using more OBU devices. Unfortunately, however, many companies using only one or two devices do not pay enough attention to it, although smaller companies could be more sensibly affected by a possible toll fine” – emphasized Károly Farkas, Chief Operating Officer of toll Declaration Operator i-Cell Kft. As for route tickets handled by i-Cell in amount of hundred millions HUF, the users have submitted requests to the company for initiation of penalty proceedings in less than 1% of all cases. · in 74,5% of cases inadequate device usage has occurred, that is, the device indicated the failure/problem, but it was not treated by the the operator/ driver in time respectively the signals of device were not taken into consideration (If the device does not light at all, it is also kind of indication). · in 6,5% of all cases there was a HU-GO data registration problem (truck number, ID identification number etc.). · in 19% of cases the vehicle had a route ticket, but due to a failure caused by Skipping or Missed Road Sections the penalty proceeding had been initiated, but the penalty was later cancelled. „On close examination of failures resulting from inadequate device usage we see, that in 55% of cases the users have forgotten to switch the device on, GSM connection problems and overwriting have occurred in 30% of cases and in about 10% the device has not been administrated properly or it has been disconnected or switched off the system. In cases of vis major, when the company is fined due to device fault, a power supply problem or insufficient GPS-signal, that is, without the fault of the driver, the problems led to penalty proceedings in only 5% of all cases. From our point of view it can be concluded that the majority of penalty proceedings could be avoided by paying greater attention and awareness to the aforementioned aspects” – added Károly Farkas.